The walls close in on Mel. Jean receives some worrying news, and Tiffany feels the pressure. 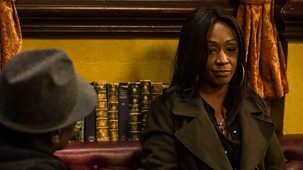 Tiffany tries to keep Dennis out of trouble, Mel struggles to hold it together, and Mitch attempts to make amends with Chantelle. 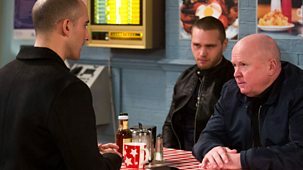 Phil makes a confession to Ben, Mel prepares for Hunter’s plea hearing, and Jack supports Tiffany. 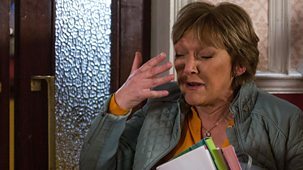 Jean is touched by Shirley’s support, Keanu puts his plan into action, and Bernadette panics when she learns Ted is coming home. 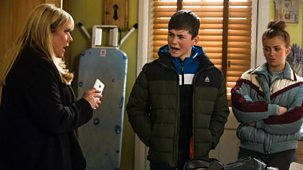 Keanu is surprised by Phil’s advice, Jack worries about Tiffany after everything she’s been through, and Jean and Shirley attempt to face their fears. 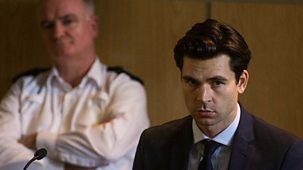 Phil receives helps from an unlikely source, old memories surface for Stacey at Ruby’s trial, and Billy’s attempts to stand up for Honey fall flat. Phil is shocked to discover who’s arrived in Walford, Ruby makes a big decision, and Jean realises she needs support. Kathy demands answers from Phil. Things get trickier for Keanu. Habiba takes a chance with Adam. Mitch is shocked when Chantelle arrives. Sonia turns to Jack for help. Kathy senses all is not well with Phil. 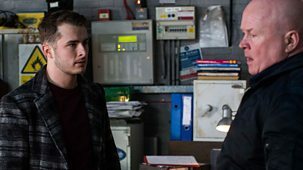 Keanu returns to Walford and quickly gets down to business. Bernadette tries to help Tiffany. Patrick sets Denise, Kim and Mitch a challenge. Alfie is stunned when Kat opens up about what's been troubling her. Stacey finds a unique way to help Ruby. Linda can't believe her luck. 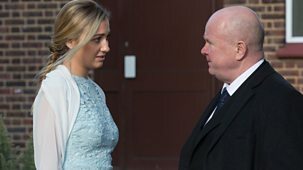 The new year kicks off in dramatic style for Mel and Ray as their wedding day arrives - but what does Mel have in store for her deceitful groom? Whitney tries and fails to get Tiffany to open up, Kat hatches a plan to help Stacey, and Mel sets her sights on someone who can help her. The Slaters desperately try to get through to Jean. Habiba lands herself in hot water with Billy. Keegan is given a tough reality check. Ruby tries to call in a favour from Phil. Kush comes to the wrong conclusion. Mitch feels the pressure to provide for Bailey. Kat receives some shocking news. Keegan struggles and makes a bad decision. 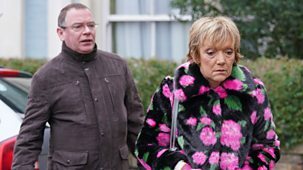 Sonia issues a warning to Stuart to stay away.